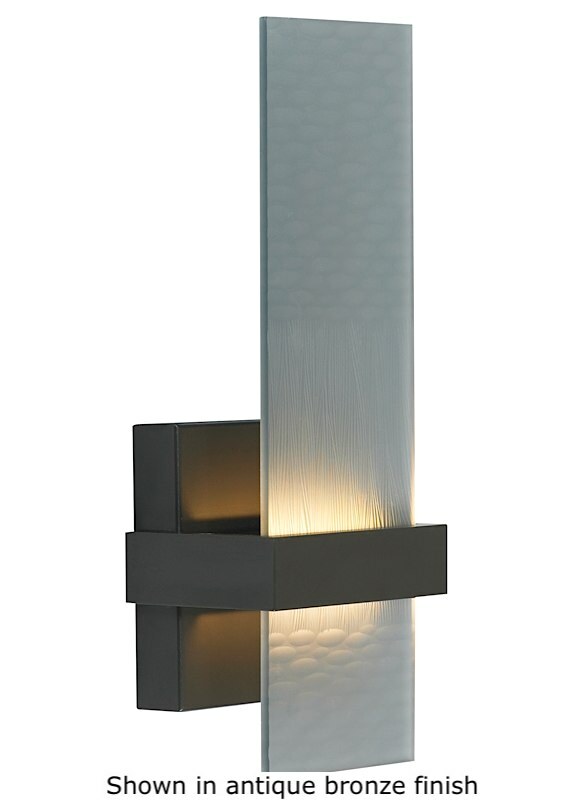 The Mura will bring a modern look to any space it is displayed in. Its LED lighting source puts the visual focus of the fixture onto the handcarved glass. The wave-like pattern of the glass piece reminds one of the gentle flow of a lazy river. The Mura mounts up only. Includes 8W of 3000K LED. Please choose 120V or 277V LED option. It is dimmable with a low voltage electronic dimmer. ADA compliant.